I know that police officers do some pretty selfless acts, such as working with the "Shop With A Cop" program each year around this time, which helps children in need buy Christmas gifts, but Volunteer Police? The Utah County Sheriff's Office is a Proud Sponsor of the VIPS(Volunteers in Police Service), a nationally recognized program which is committed to developing a spirit of cooperation and partnership with the community. 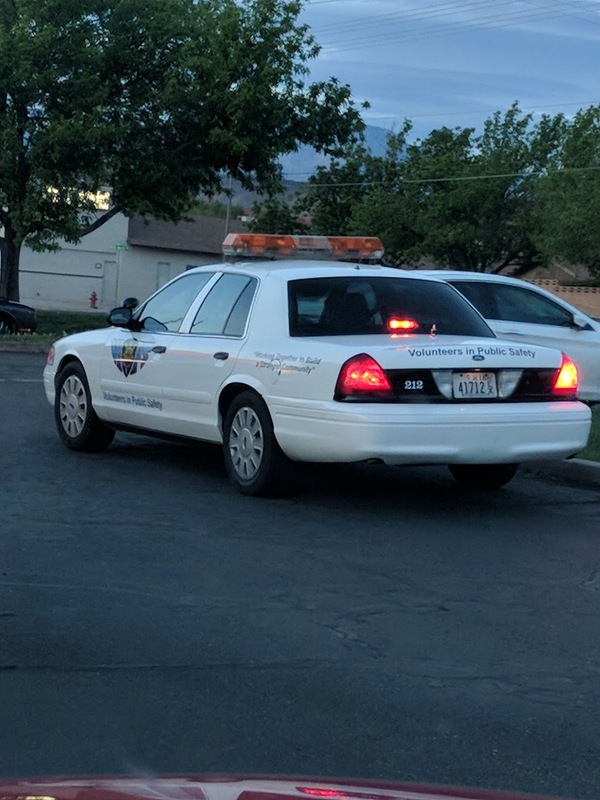 In conjunction with the Utah County Sheriff Jeep Patrol we recruit, train, and retain talented volunteers who will be encouraged to participate in meaningful community safety, security, and service programs, in addition to emergency response situations. I've heard some news reports about people who don't appreciate the police. I'm not saying that every police person does the right thing every single time. They're people, too. But with family on the force, I kind of like them overall. One of them saved me from being an orphan after I lost my family when I was 6 years old. Since I'm a Curious Girl, it was interesting to find out about the Volunteer Police Program. It seems to me like a program that embodies the spirit of giving. And isn't that what this season is about? What is your favorite volunteer place? 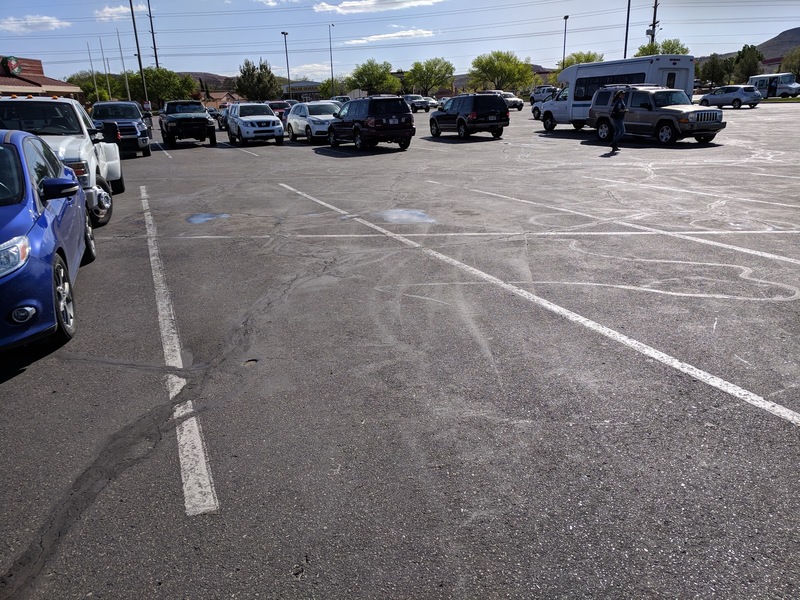 Have you ever had someone ding your vehicle door when they randomly fling their car door open as wide and as fast as they can while you're in the store and your innocent vehicle was just sitting quietly in the parking lot, minding its own business? That's happened to me more than enough times, so I don't mind parking out in the South Forty with NO CARS beside me. I would rather walk than gave my car door dented in. So why, when there were open parking lot slots ALL AROUND my little candy blue Ford, did a big ol' honkin' truck decide to park RIGHT BEHIND ME?! Not that he could ding my doors from behind, but what if I wanted to put something in the back of my car? Would he mind if I butted up against his grill and got bug guts all over my backside? It might save him a carwash. 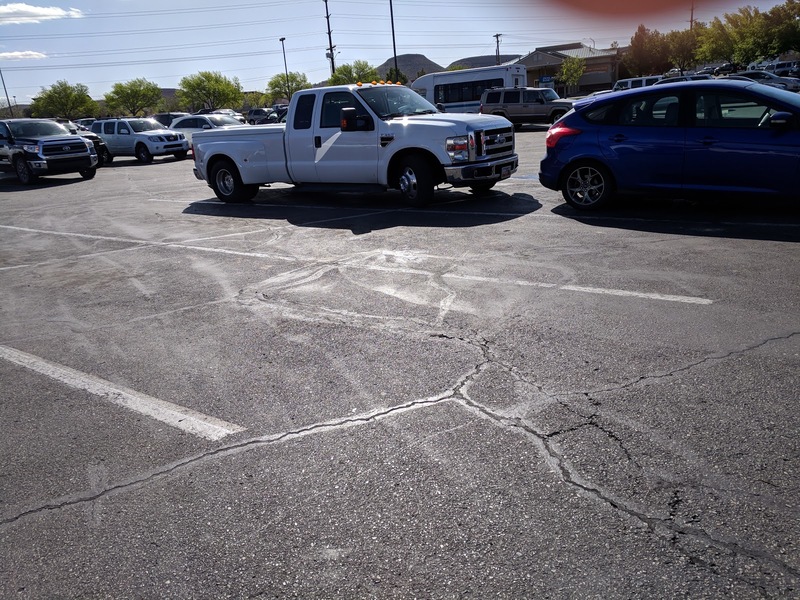 Maybe the truck driver has abandonment issues, and didn't want to park all alone in the many, many empty spaces available around my car. Maybe it just wished it could be a candy blue Ford Focus. Where do you like to park? Close up and personal? Or way out yonder? My little sister is in the best holiday mood, reminding me that we should decorate for Thanksgiving. Shirley Scrooge... (or is it Turkey Shirley?) 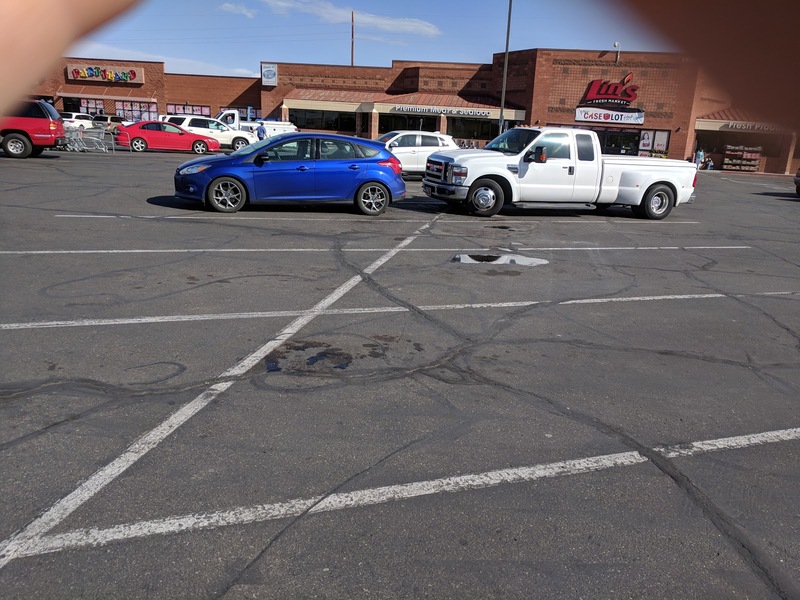 didn't want to bother. 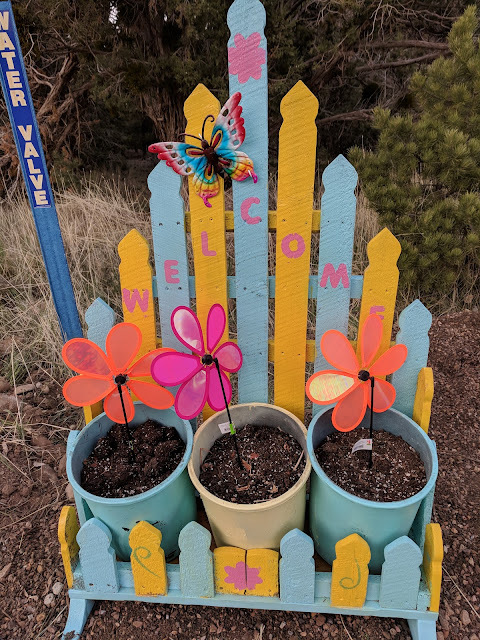 More expense, more stuff to store, to lose, to look for in subsequent years (like the adorable little pilgrim dolls our sister Loraine sent Carolyn last year. (I KNOW we have them, and I know where I put them, but Carolyn rearranged and we haven't found them yet.) So Turkey Shirley encouraged Carolyn to wait for the time to put up Christmas decorations. Over the course of four days, Carolyn gently insisted that she thought we ought to decorate for Thanksgiving. The stores we went to didn't HAVE any Thanksgiving decorations! Yet Thanksgiving is such a gentle, refreshing holiday. 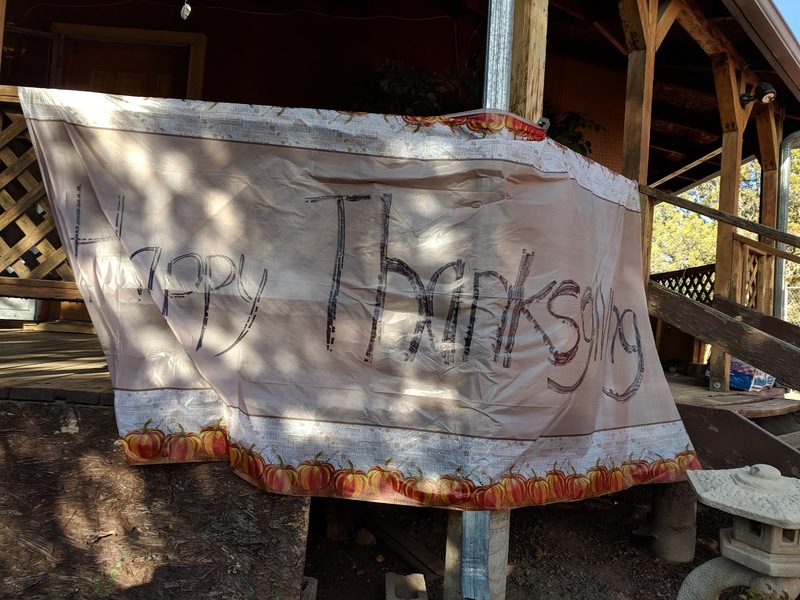 So we got a plastic table cover and made our own decoration, because we have a lot to be thankful for. Some people live in the same neighborhood all their lives. Other people move around a lot. 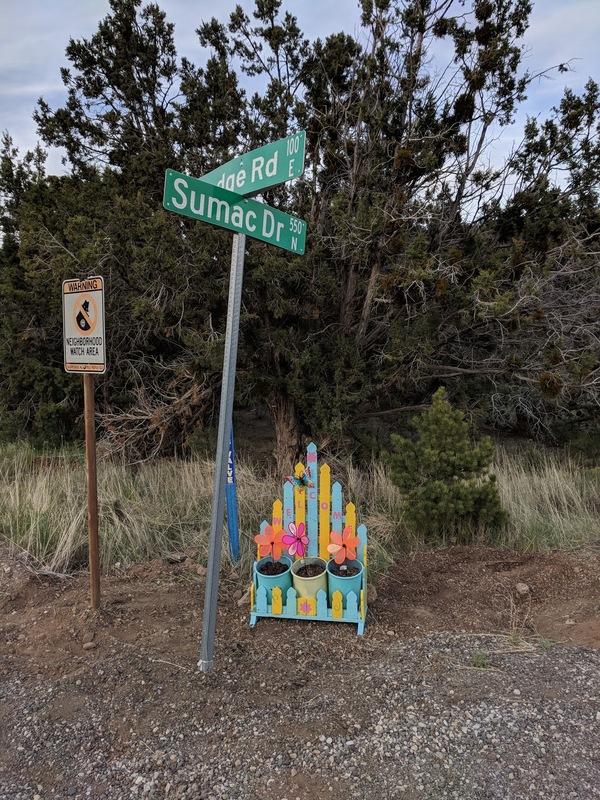 How would you feel if you drove into a neighborhood and saw this sign? Now we're so glad we live in another great neighborhood that welcomes people with a bright, cheerful sign! Do you like your neighborhood? Is it the favorite one you've lived in? If you've spent time in more than one, which one have you liked best? 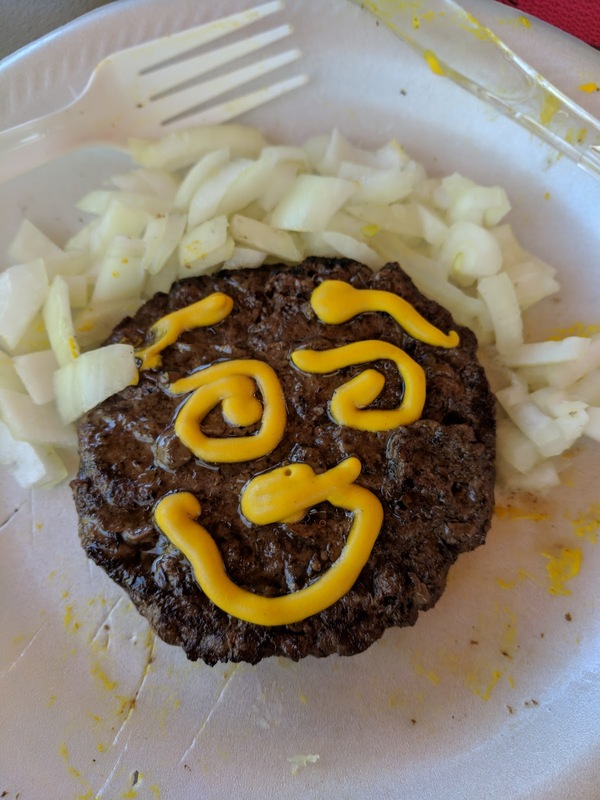 Not only is mustard tasty, but it's such a cheerful condiment. I mean, if you were to dress up your burger with ketchup, it wouldn't have the same sunny quality, now would it? So what's your vote? Mustard? Ketchup? Mayo? Or some other condiment that makes your tongue do the happy dance?